Her parents had all but given her up for dead. 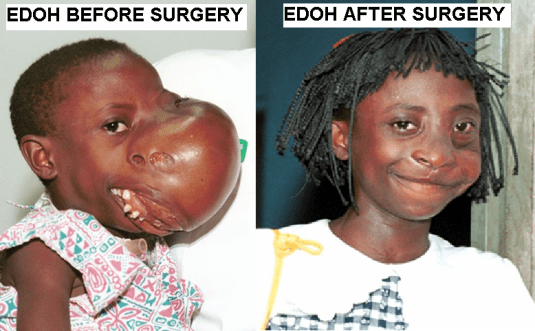 The grapefruit-sized tumour on Edoh’s face was relentlessly expanding into her airway when her parents journeyed 500km – to their last hope. The line was heartbreakingly long when they arrived at the Togo port, where the Anastasis was docked in 1995. Edoh was gasping for breath when her father desperately raised her above his head and passed her to the person ahead. 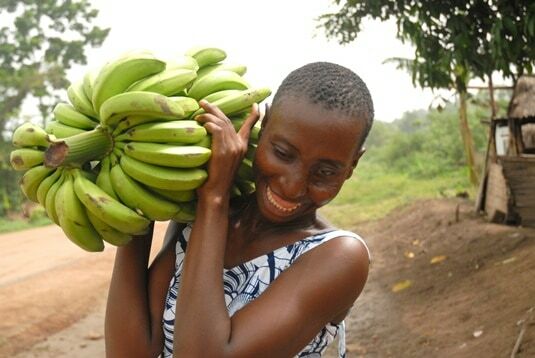 As each person in the waiting multitude saw the enormity of Edoh’s tragedy, she was lifted forward again. Eventually, the terrified child was ‘crowd surfed’ to the front of the enormous, seething crowd and tossed, screaming, over the port gate. Edoh was caught by a crew member who took one look and rushed her to the surgeons. 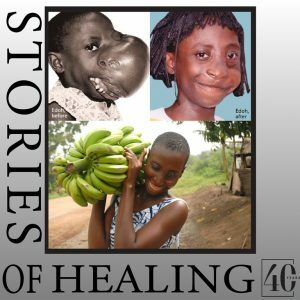 A tracheotomy saved her life, and Edoh’s journey to healing began. 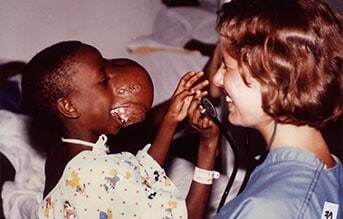 Nanette was on duty in the ship’s ward when Edoh arrived for the surgery to remove the enormous tumour. ‘As we were a match, I donated blood for her surgery and then cared for her immediately following surgery. She grabbed my heart. When she was eventually discharged her village hosted a group of us in her village to celebrate what the Lord had done. Edoh won the heart of the crew and Mercy Ships staff around the world as she heroically overcame all obstacles, against all odds. Seven years later this remarkable girl returned to the Mercy Ship for a follow-up operation and remembers the first visit with clarity. Unable to understand the language of those around her, she says (through an interpreter) ‘Everything came flooding back; the care and kindness of the medics spoke louder than any conversation ever could.’ Her life was saved and transformed by mercy. Edoh was a young woman of almost 17 the last time a Mercy Ship was in Togo in 2010. She told us she wanted to study and become a nurse. ‘LOVE that smile. LOVE that girl,’ says Nanette, echoing the hearts of many across the globe whose lives have been forever changed by the courage of Edoh. ‘It was amazing to see someone life transformed so dramatically. To see something that held Ebenezer back so badly, be suddenly gone. He might not have understood what was going on; as well as being young, he did not speak English. But it was clear to me his life would never be the same again.